The #HornetGolfJamboree supports the Hornet Athletic Association (HAA). The HAA directly benefits our student-athletes and coaches, and provides student-athletes with a balance of outstanding scholarship and athletic achievement. Your sponsorship will help to ensure that all K student-athletes are equipped with the necessary tools for success. 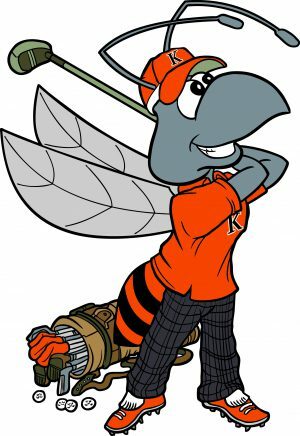 • Stinger Sponsor ($1,200): Foursome with carts, hole sign, digital scoreboard advertising at volleyball, basketball and football games during the 2019/20 season, sponsor recognition at event and on webpage. • Hornet Sponsor ($600): Round of golf for one person, hole sign, digital scoreboard advertising at volleyball, basketball, and football games during the 2019/20 season, sponsor recognition at event and on webpage. • Colony Sponsor ($300): Hole sign, sponsor recognition at event and on webpage. Please consider becoming a sponsor for the 2019 Hornet Golf Jamboree. You may sponsor in honor of your student, their coach, favorite sport or team. The IRS charitable value of sponsorships is determined by reducing the contribution amount by the fair market value of goods and/or services received. To receive the full IRS charitable value of the contribution, donors may refuse listed goods and/or services. Please direct your questions regarding sponsorship opportunities to: Jamie Zorbo at 269.337.7078 or athleticsponsorships@kzoo.edu. Logos may be submitted to athleticsponsorships@kzoo.edu.